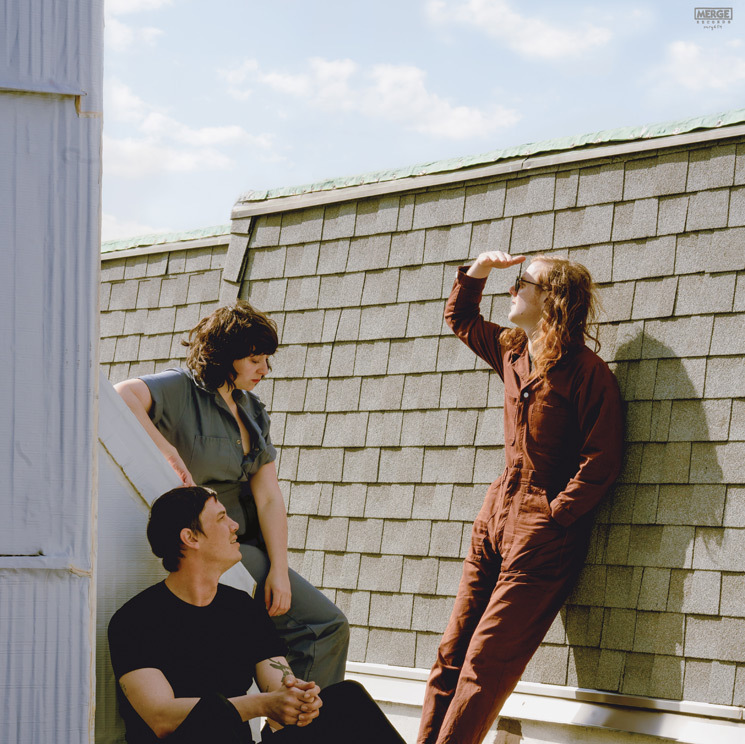 After Swearin' hinted that a new album was on the way back in April, a retail listing is pointing to the band's new effort arriving just in time for their fall tour of North America. An online listing from retailer Bull Moose reveals the garage rockers' new record to be titled Fall into the Sun. Eleven tracks in length, the new effort will arrive October 5 through Merge. Fall into the Sun follows the band's 2013 full-length Surfing Strange and is described by the band's Allison Crutchfield as "the adult Swearin' album." The LP — co-produced by Crutchfield and Kyle Gilbride — was recorded in Philadelphia and Los Angeles. As previously reported, Swearin's upcoming tour will make a pair of stops in Canada this October. Find a full itinerary here, and pore over Fall into the Sun's tracklist below. The cover art is available above. UPDATE (7/24, 9:45 a.m. EDT): You can now listen to lead single "Grow into a Ghost." Stream it below.